Ideal for cars, trucks, vans, boats, mobile homes, caravans, conservatories and windows etc. Approx. 1.7 meter long reach telescopic handle to reach awkward high areas. 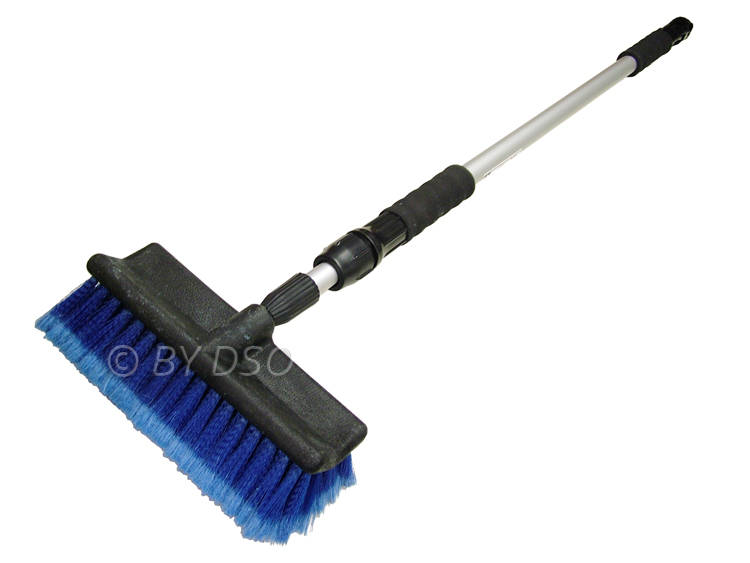 A quality water-fed cleaning brush for all purpose. Ergonomic comfort foam grips for ease of use and soft bristles that won't scratch or harm delicate surfaces. With 1/2" inch universal male connector with water stop valve for standard quick release connections. Lightweight aluminium handle and 10 inch straight head.